These EU Countries roaming bundles allow you to make calls, texts and data when roaming within EU Countries as if you were using your bundle at home. However, these selected bundles are subject to our Fair Usage Policy described below. Austria, Belgium, Bulgaria, Croatia, Cyprus, Czech Republic, Denmark, Estonia, Finland, France, Germany, Greece, Hungary, Iceland, Ireland, Italy, Latvia, Liechtenstein, Lithuania, Luxembourg, Malta, the Netherlands, Norway, Poland, Portugal, Romania, Slovenia, Slovakia, Spain, Sweden, Switzerland, United Kingdom. • Our roaming services are intended for Lycamobile customers who visit EU Countries for short periods, for example a holiday or short trip. Our roaming Fair Usage Policy is designed to prevent misuse of our EU Countries roaming products and service. 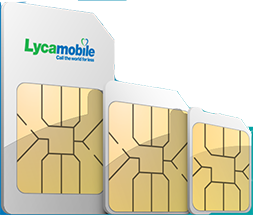 • To use our EU Countries roaming services you must first activate your SIM in your home country (and have purchased a Lycamobile product that includes EU Countries roaming services). • If you have a prepaid bundle that includes EU Countries roaming services, then a different data limit will apply when you roam within EU Countries. Please click here and select the ‘More’ option on each bundle for details of the data limit. 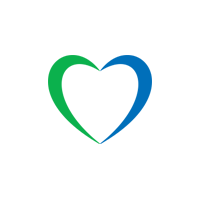 • Your calls to other Lycamobile numbers are free at home (minimum top-up applies), but when you roam within EU Countries they will be charged (or deducted from your bundle allowance) as standard calls. • If we identify abusive usage of our roaming services due to organised resale of our SIM cards to persons who normally live outside of the UK then we may take immediate proportionate measures to stop this, which could include suspension of services. We will send a text message to any such affected SIM cards. • If you have any queries or wish to complain about our roaming services, please contact us.